Since it was established in 1811, champagne house Perrier-Jouët has encouraged artistic creativity. Drawing inspiration from the Belle Epoque bottle adorned with anemones created in 1902 by the artist-glassmaker Emile Gallé, a leading light of the Art Nouveau movement, Swedish artist Barbo Andersson is unveiling a composition in four separate acts depicting this prestigious cuvée, the champagne house’s ‘muse’. 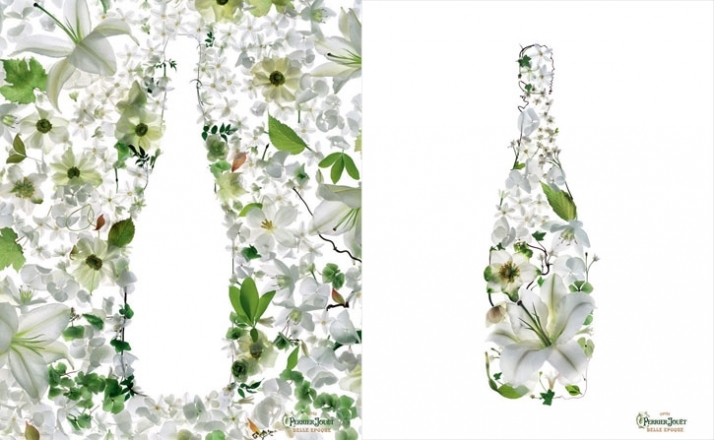 For Perrier-Jouët’s Belle Epoque, Barbro Andersson conceived a sequence divided into four acts that retraces allegorically the champagne-making process, evoking along the way the white-flower aromas characteristic of this prestigious cuvée’s wine style. Her four pieces provide a unique, highly aesthetic interpretation of the cuvée and remind the viewer that making champagne likewise involves artistic creativity. As such, they echo the creation of Emile Gallé, Art Nouveau master and another devotee of floral art, who designed the Belle Epoque bottle for Perrier-Jouët in 1902. The pieces similarly parallel the work of Hervé Deschamps, the house’s cellar master, who composes each cuvée as if it were a one-off, much like an artist working in wine, fashioning his blends in a single, creative flourish without recourse to preliminary sketches. It was probably inevitable that the House of Perrier-Jouët and Barbro Andersson would join forces, so closely do their respective worlds overlap. They share the same desire to take inspiration from, and transform, nature to reveal its full diversity and richness, its charm and sense of mystery. It is this potent alchemy between art and nature that both artist and champagne house sought to recreate via their collaboration. Act 1 (left) Nature as the muse and source of inspiration for Perrier-Jouët champagne. 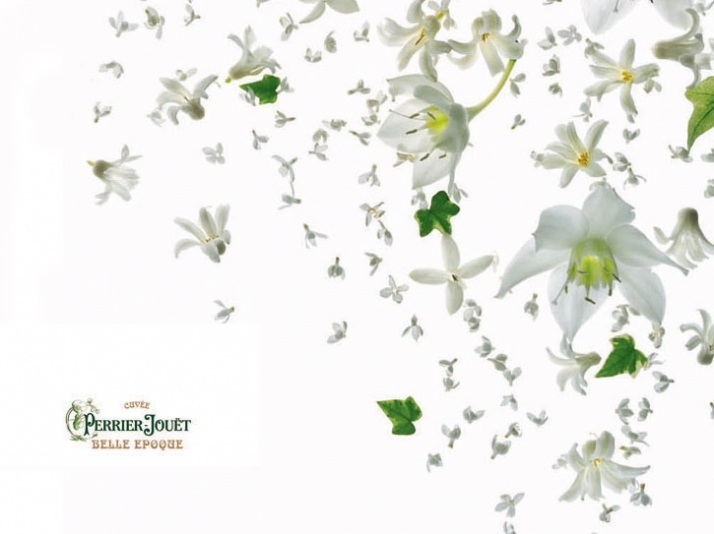 Outside the bottle shape, the entire spectrum of fl owers and plants that make up Belle Époque’s aroma are arranged, forming a visual representation of the Perrier-Jouët champagne ‘bouquet’. Act 2 (right) All this natural richness is ‘encapsulated’ within the Belle Époque bottle. A visual metaphor for the wealth and variety of natural inspiration for Perrier-Jouët Champagne. 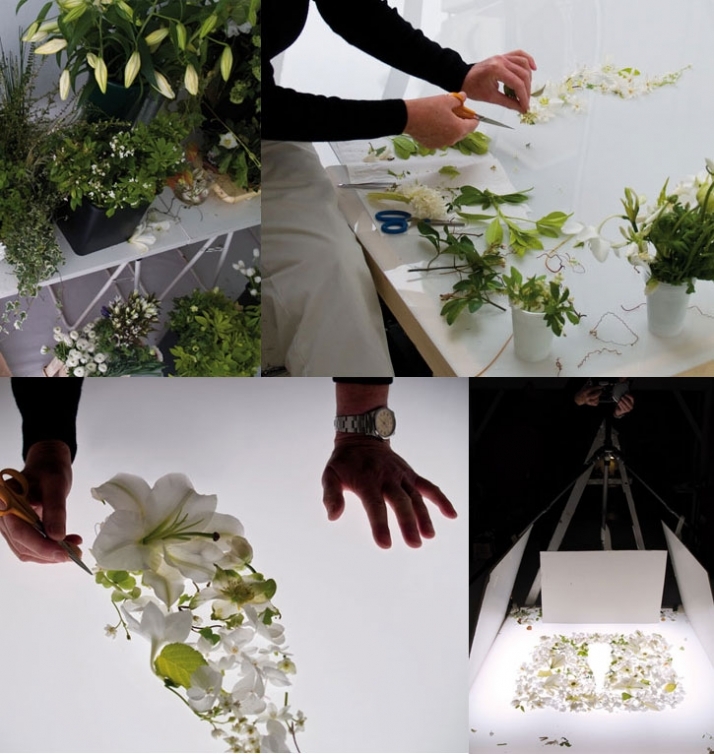 The transformation of nature, symbolising the process of turning natural elements into champagne. Within the bottle, a secret alchemy is at work, an allegory of the brand’s highly distinctive art of blending. Nature thus refi ned within the Belle Epoque bottle shines forth in an invitation to share celebratory moments that are rare, stylish and prized. 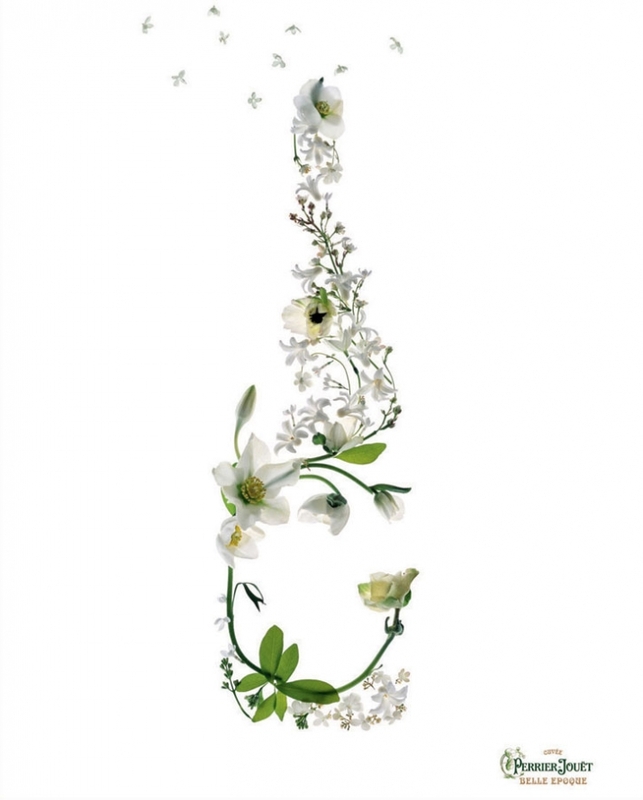 Marrying floral inspiration and a transient medium that fades as the season passes, each of Barbro Andersson’s Cuvée Belle Epoque tableaux for Perrier-Jouët is available as a limited edition of 100 individually numbered prints signed by the artist. They will be on show this spring at leading wine specialists and prestige bars and restaurants. 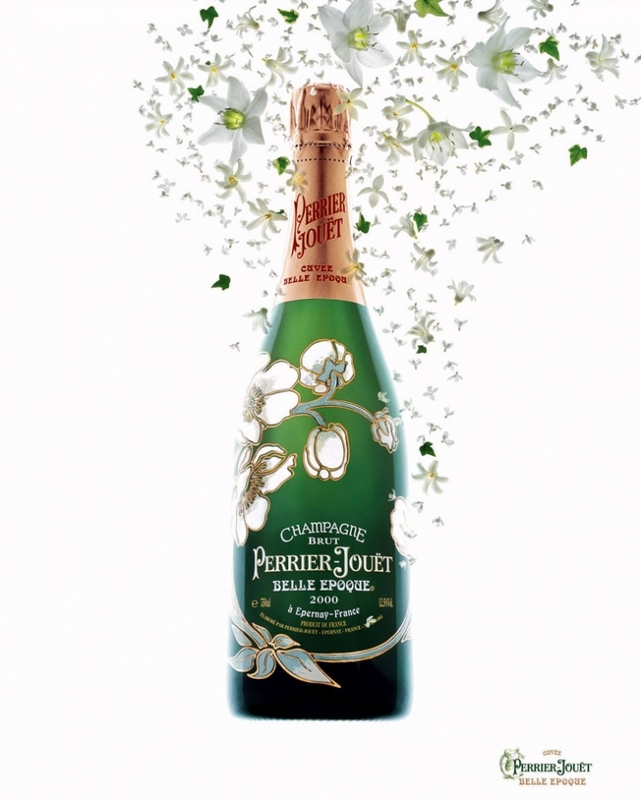 The house is offering art-lovers and Perrier-Jouët enthusiasts a once-in-a-lifetime opportunity to win one of the original works of art via an online competition at www.perrier-jouet.com. The competition closes on 30th June 2009. The four tableaux can also be downloaded from the site as limited-edition wallpapers, with 100 available of each. Swedish-born Barbro Andersson lives and works in Paris. After teaching herself photography, she became fascinated by still-life scenes. She uses a bold creative frame of reference that highlights contrast, using a fresh perspective and wit. Her work has a strong botanic theme majoring on the fl ower as an artistic medium, and she has a contemporary style inspired by the visual vocabulary of the late 19th century. Her work constitutes a genuine, artistic universe with thenecessary breadth to accommodate the Perrier-Jouët vision in a truly cooperative artistic venture.